Last month we successfully closed our private sale! We are now well capitalized for a multi-year runway and are extremely excited with this milestone. Thanks to all the contributors and partners that have joined us the past months we are more than equipped to build a great protocol for the wider blockchain community. As shown in our last development update we are ahead of schedule for testnet, which will have a positive impact on mainnet delivery. Obviously we expected to fully sell out, however looking at the team’s effort in a market that went down 80% since we started our fundraiser we are extremely proud of our result. 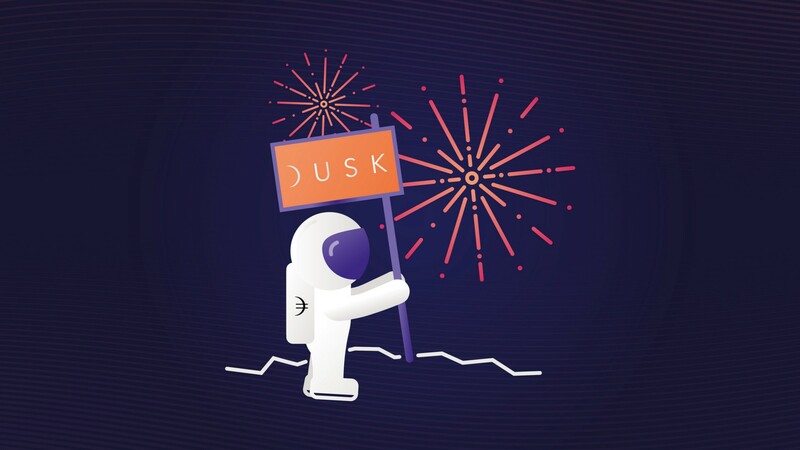 Dusk has received a great opportunity that requires a delay in order to pursue. Together with our partners at iFinex we judged that the opportunity could bring so much benefit to the project that this was the wisest course of action. We are prohibited from disclosing the exact nature of the opportunity, and expect a delay of 3–6 weeks. We appreciate your patience and continued support! Please note: The exact date the tokens can be called upon from the vesting contract and when they will be tradeable will be announced in a separate announcement in 3–6 weeks.